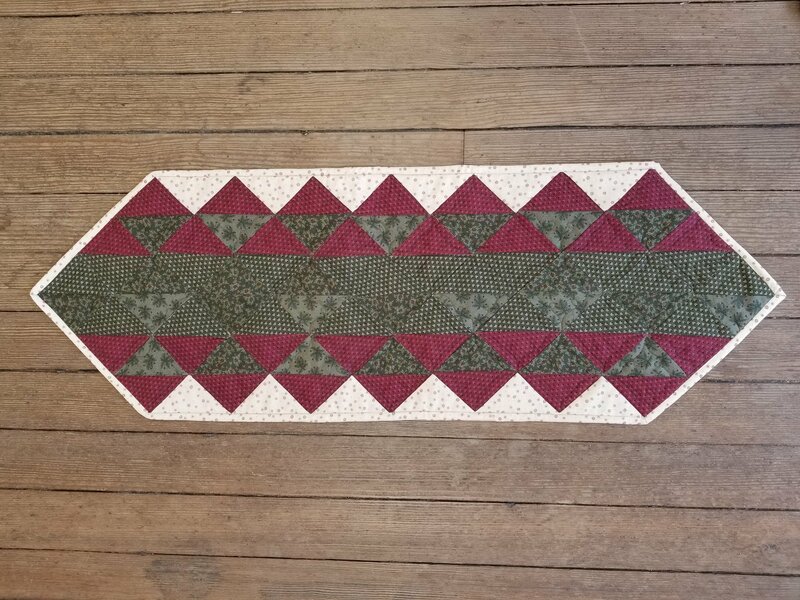 Kit includes fabric to make 16x42" table runner top and binding. Pattern and backing fabric sold separately. Pattern is Terrific Triangles by Pieced Tree Patterns.